Why should I buy a golf GPS watch and what should I look for? Out of all the gadgets and gear for golf, a good GPS unit is one of the most important things to have. I 100% believe every golfer should own some type of GPS device. Knowing exact distance to the green or hazards can completely change the way you play. No more flying your approach shot 20 yards beyond the green due to a wrong guess of the yardage. Being able to see the exact distance you hit shots with each club is crucial to improving your play. Accuracy – Obviously an important factor, and something you should not have to worry about. For the most part, GPS watches today are all very accurate. The 5 watches on this list have no issues with accuracy. What distances are given to you? – Most watch will show yardages to front, back, and center of the green. Not all will show distances to doglegs, layups, or hazards. This may make the difference in what watch is for you. Another thing to watch out for is shot distance. All but one on this list (the TomTom Golfer) offer the ability to track the distance of your shot. Battery life – You want to be able to go at least two rounds without having to recharge your GPS watch. Usually the minimum battery life should be 8 hours. When using solely as a watch, these devices can last weeks. Extra features – Some watches include useful extra features such as an odometer, a colorful display, or a map of the hole. Some of the more expensive options include some unique measurements such as swing tempo and swing strength. The Garmin Approach S6 is a high-end GPS unit, and our pick for the top golf GPS watch of 2017. This watch may not be the cheapest, but it’s packed with features. The main display is a touchscreen, allowing you to find exact distances to any spot along the hole with a touch of your finger. This useful feature can allow you to dial in on exact areas throughout the golf course. The 10 hour battery life might be average compared to most GPS watches, but very impressive considering the hi-res color touchscreen. Bonus features you won’t find in the rest of these watches include: SwingStrength (how hard you swing), SwingTempo (relationship between up and down swing), and Pinpointer (points you in the right direction on blind shots). If you’re looking for a golf GPS that’ll change how you play, this may just be the one to do it. The Garmon Approach S2 is our runner up for best GPS watch of 2017. While it’s still a fantastic watch, it’s missing some of the added features of the Approach S6 (but at a much cheaper price point). This GPS unit gives yardages to the front, back, and middle of the green. It also shows the distance for layups and doglegs. Missing is a measurement for hazards. The battery life of the S2 is 8 hours (while on GPS mode), so it lasts about two rounds. Included is a digital scorecard, which allows easy tracking of your rounds. After a round, scorecards can be uploaded and saved into a computer. Walkers can track their distance walked with the included odometer. Overall, the Approach S2 is a great watch at a reasonable price. The Bushnell Neo Ion comes in third on our list of best GPS watches. This unit features one of the best looking designs of the bunch. Also impressive is the battery life, lasting three rounds with GPS on. The Neo Ion gives yardages to front, back, and middle of the green. It also shows distances to hazards and layups (up to 4 per hole). Also included in this GPS watch is a step counter. The screen is easy to read, and displays all the basic yardages. One common complaint is the flimsiness of the band of the watch. It seems to be durable, but for for some might be an annoyance. Overall the Neo Ion is a quality watch that accurately provides all the important yardages. When compared with the other watches on the list, the TomTom Golfer is relatively unknown. Make no mistake though, this is a great watch that packs in a lot of features. The TomTom Golfer features a unique display that shows distances to green, hazards, and layups by directly displaying graphics on the screen (as you can see in the picture). While it may not be a color display, this provides a simple, but useful visualization for each hole. Unfortunately, some have complained of missing hazards on some lesser known courses. The watch’s appearance is nothing fancy, but has a light and slim design. Score and time of your round can be tracked. The TomTom Golfer watch is overall a solid choice that includes a lot of the features of a high-end watch. The GolfBuddy GB-WT3 is a great GPS watch on a budget. This GPS unit is one of the cheapest options out there that provides distance to hazards. Yardages to front, back, and center of green are also displayed. The watch’s display includes a dynamic view of the green. While on GPS mode, the battery life is 8 hours. This is a little below average, but not too bad. Included in this GPS watch is a digital scorecard. The GolfBuddy is also waterproof, making it a great device to have when you get caught in bad weather. For the price, the GolfBuddy GB-WT3 is a good GPS watch to start out with that includes distances to hazards (not many in this price range include these yardages). Now go out there and shoot your personal best! And now that you’ve seen a comparison of the best golf GPS watches of 2017, subscribe to the newsletter to be updated on the latest Golfer’s Buying Guide articles. I absolutely love my TomTom. For the price its tough to beat. Nobody really has one and im not sure why. Thank you for the useful writeup of the best golf GPS watches. An older GolfBuddy handheld model that I had recently crapped out on me, and now I’m looking for a new GPS watch. It’s no surprise that Garmin Approach is featured here – excellent brand. I’ve heard great things about the Garmin Approach S20; it seems popular and has excellent ratings. 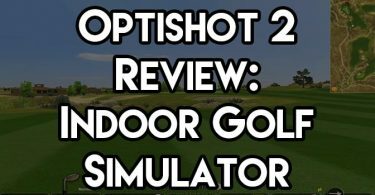 Right now I’m caught between the S20 and the TomTom Golfer (which you review here), but I’m leaning more towards the TomTom. During my research, I found the resource at Golfstead to be quite helpful; they mention a few more models that have great reviews, although they don’t feature the TomTom. What are your thoughts on the GA S20?